Lhasa Kharta valley EBC treks is an extremely adventure, thrilling and fascinating journey to Tibet which is one of the best combined trips to explore the major attractions of ancient Tibet including Mt. Everest. 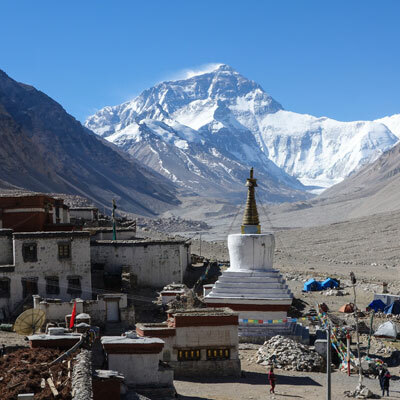 Lhasa Kharta valley EBC treks is a two to three weeks long trip which starts from Kathmandu with a scenic flight to Lhasa and includes visit to Khartha valley, Everest base camp, Shigatse, Tingri, Pethang Ringmo long with many other places en route. While flying from Kathmandu to Lhasa we will fly over Mt. Everest, the Himalayan views including top of the world is just marvelous which we can explore from the airplane. The Lhasa Kharta valley EBC treks is a perfect tour trek for those adventurous people who wish to do a trek in the rugged areas of Tibet. This journey will take us to the northern base camp of the mighty Everest. Not everyone can submit the Everest but you can definitely explore the foot of the Everest as per your desired. 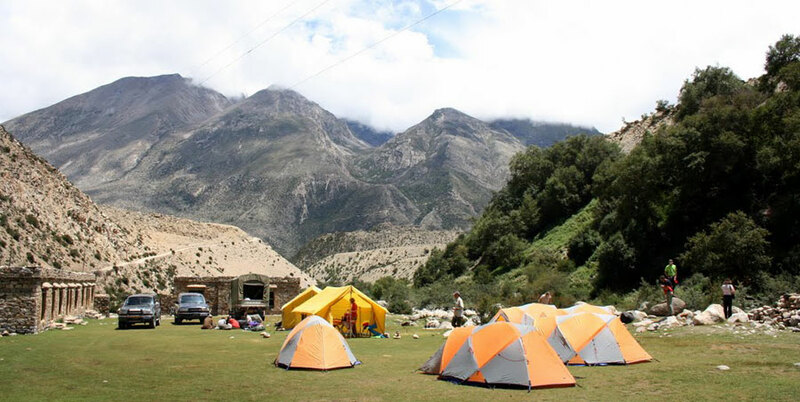 One thing you must have in you to take part in this adventure trekking tour is your fitness and interest towards the untouched and pure parts of the world, especially the Himalayas. Lhasa Kartha Valley EBC treks normally starts from Kathmandu with a flight to Lhasa and end at Kodari boarder from where we take a scenic 5 hour drive to Kathmandu. 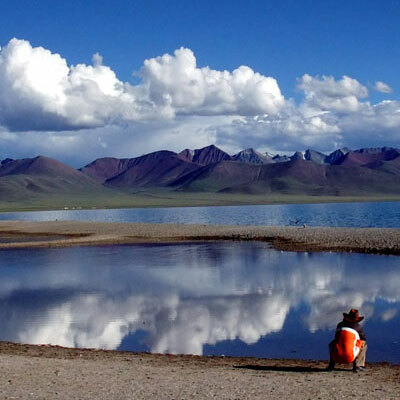 As an option you can also start and end your tour in Lhasa. Let us know which option you prefer, we work on your chosen option. Day 01: Kathmandu to Lhasa. Day 02 & 03: Lhasa sightseeing. Day 10: Trek to Pethang. Day 12: Khangshung Valley- Base Camp (Optional Hiking). Day 14: Raabka Chu to Tso Tshurigma. Day 15: Tsho Tshurigma to Troshay Meadow Camp. Day 16: Troshay To Kharta. Day 17: Rongbuk Monastery/Everest Base Camp. Today we will fly from Kathmandu, TIA to Lhasa, Goggar Airport over the beautiful mountain range. It will take about an hour to drive from the airport to the old city and to your hotel. There are no programs today. You are suggested to take rest and drink lots of fluids, which will help you to get acclimatized in the Tibetan Altitude. Potala Palace: Political and religious centre of Tibet, Potala palace is one of the most beautiful monuments in Tibet. With 1000 rooms and 13 stories to explore this is probably the most popular tourist attraction in Tibet. Elegantly decorated with hundreds of Thangka paintings, frescos and images created hundreds of years ago the Potala palace is a perfect example of how ancient monuments should be preserved. Jokhang Temple: Jokhang temple which was constructed back ion 7th century attracts hundreds of tourist every year. This temple has a very huge Sakyamuni Buddha statue and is considered the holiest place in Tibet. 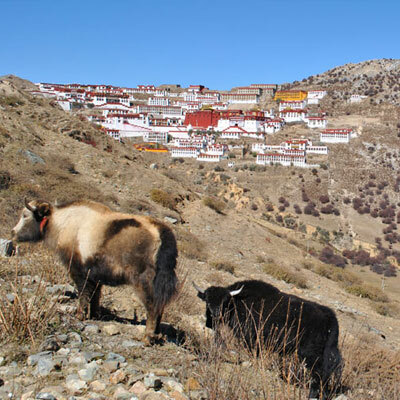 Sera and Drepung monasteries: Sera and Drepung monasteries were founded in 1419 which are actually numerous white temples and Buddhist buildings in the foot of a rocky hill. Back in its days, Drepung monastery use to have 8,000 monks to teach traditions of Vajrayana, Mahayana, and Sutrayana, the three vehicles of Tibetan Buddhism. Norbulingka palace: Constructed by the 7thDalai Lama this Norbulingka Palace is not actually just one palace. This is a huge garden with numerous palaces built by many Dalai lamas in different period of time. 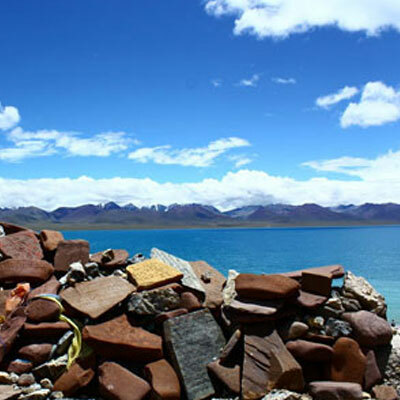 Today we will drive to Shigatse which is located 3900m above the sea level and is the second largest city of Tibet which is about 90 Km away from Lhasa. Here we will visit the largest operating monastery in Tibet- the Tashilhunpo Monastery and explore the local market. Our overnight accommodation will be either at Shigatse Hotel or Shandong Mansion. Today we will drive along the friendship highway to Shigatse from Shegar and stop at Sakya on the way. 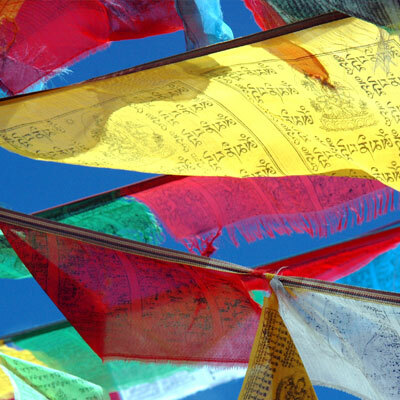 In Sakya we will visit the Sakya monastery which is one of the oldest and most treasured monasteries in Tibet. 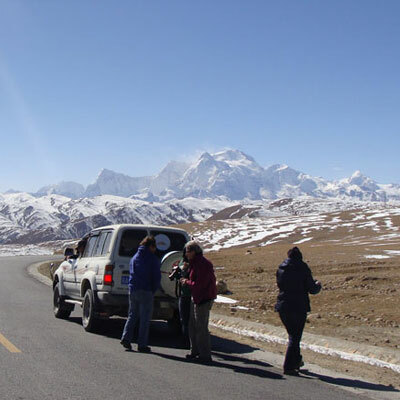 We will drive through the highest pass in Tibet, the Gyamtso La, at the altitude of 5220m, the barren yet stunningly beautiful landscape of Tibet and we will come across the camps of nomadic herders in our way to Shegar. Today we will drive from Shegar to Khatra which lies at the altitude of 12,300 feet above the sea level. This drive will take about 5 hours and en route we will pass through the Pand La pass which offers stunning views of Makalu, Lhotse, Everest, and Shishapangma on a clear day. We will drive along the Chu valley towards Khatra. We will camp past the boarding school on the Banks of Kharta Tsangpo River which happens to be source of the Arun River in Nepal. Today we will ascend over the rocky ground to reach the Shao La at the height of 16,300 feet. This hike will take about 2hours. If the weather is clear you can find yourself in the midst of mountains like Makalu, Lhotse and Everest standing around you. After this we will take an hour’s descend and plunge steeply to the valley below. During this plunge you will find the change in scenarios from barren rock hills to green meadow full of rhododendrons, birch, and willow trees. We will take another 1 hour descending hike through the thick fir and juniper forest and call it a day to camp at Joksum. Today we will hike steeply through juniper and rhododendron forests to reach the high pastures above the Kama River. We will have a chance to snap some beautiful views of Everest and Lhotse of the day is clear. On the high ridges south of Kama River there lies hinging glaciers which in summer turn in to bellowing avalanches. We will continue to pass through alpine meadows and yak herders' camps and a calm green lake for about 5 hours to our campsite at the height of 14,500 feet, on a large grazing land with grand views of the Khangshung Valley. Today we will hike up a ridge that offers a clear view of Khangsung valley along with the awe-spinning views of Everest, Lhotse, Lhotse Shar, Tshertse, Petangtse, Chomolonzo, Makalu, and a numerous other great peaks. After sometimes of sightseeing we will descend steeply down to the Kama River. Then we will cross the Kama River and enter the Khangsung Valley, a valley widely drained by Khangsung stream. Sometimes in the past covered by the huge piles of snow, this valley is now covered with a thick growth of willow, rhododendron, juniper, and other shrubs. We will walk about an hour towards the meadow called Pethang at the height of 14,200 feet, which happens to be our resting ground for today. We camp there and rest for the night. Today we will be hiking steeply up onto a large rockslide. Here we will bet to witness the power of the glacier as you see the incredible upheaval caused by Chomolomzo glaciers. We will follow the trail that goes around the beautiful mountain side to reach a beautiful open space, locally called Okpa. We will continue hiking up to the meadows of lateral moraine which offers views of Everest, Lhotse, and Tserse, to camp on the grassy hillock of Pethang Ringmo at the altitude of 16,000 feet from the sea level. This will be just a 4-5 hours hiking, nevertheless very tiring. This is an optional hikes up the Khangshung Valley alongside the glacier to the base camp (17,000 feet), mostly used by expeditions attempting the east face of Everest. This day we will follow our steps back along the Khangshung Glacier, across the rockslide opposite the Chomolonzo glacier, and past Pethang to a stream crossing at the Raabka Chu. This 4 hours hiking will take us to the grassy meadow across the River which is a very pleasant place to spend your afternoon. We can follow an alternate path to reach this place. We will take a side trip from Pethang Ringmo to Guru Rimpoche's cave at Tse Chu Lake. This 6-7 hours trial climbs high above Okpa meadows, crosses Lamtsho (16,200'), then descends steeply to the lake. Today after a quick breakfast in the morning we will start hiking steadily uphill for an hour to a shelf above the river, then we will hike another hour across relatively flat land to a small meadow locally called Pangboche, where we will stop to have a quick lunch. After Lunch we will again it the road to hike steeply over the alpine slopes for another couple of hours to small yet very beautiful lack at the base of Langma La. Here from the height of 17,000 feet you get to observe unbelievable views of Makalu and Everest. After the hiking of 4 hours in total we will camp at Tsho Tshurigma to call it a day. Today we will climb steeply over rocky hills to reach Langma La which will take about 2 hours of time or bit more. Form the Langma La Pass we will leave the Khangshung valley back and descend steeply through the Rocky Mountains and glacier valleys for about four hours to reach on a grassy meadow locally called Troshay at the height of 14,000 feet. This is where we camp and call it a day. Today we will follow the stream from our camping site down to Khatra Tsangpo valley along a well defined trail. We will hike across grassy hillsides and Tibetan villages full of potato and barley plantations. After two hours of hiking we will reach the fork of the trail from where we climbed to Shao La at the very beginning of our trek. We will cross the river below the Yulba village to reach our riverside camp to rest for the night. Today we will drive to Rongbuk from our campsite in Kharta. Rongbuk is the last stop before the Northern Everest Base Camp. Rongbuk monastery in Rongbuk is the highest monastery in the world and this is where Everest climbers pray before they leave to climb the Everest. We will spend the night here at Rongbuk and prepare for the next day’s Everest Base Camp tour. This is the day we will visit the Everest Base Camp. The Everest Base Camp is mere 4 Km away from the town of Ronbuk. We can rent a horse cart here to ride to the Base camp or you can hike along the Dza Rongphu Glacier if you like. Dedicate the 8th day of tour to Visit and explore the Everest BC and come back to Rongbuk to end your day and rest. Today we will drive back from the town of Rongbuk to Nyalam. We will drive through the Tingri plains for six hours to reach Nyalam, where we will be spend the night in a cozy warm hotel. Today after the morning breakfast we will drive from Nyalam to Zhangmu, through the winding downhill road offering you fantastic views of beautiful waterfalls. This drive will take around an hour. A few kilometers drive from Zhangmu will take we to the friendship bridge on the Bhotekoshi River, which separates Tibet from Nepal. We will drive through the lush greenery of Nepalese countryside for five hours to reach Kathmandu to enjoy its evening markets and bustling beauty. En route we can stop for quick fish snack at Chehere and Dolalghat. Arrival transfer from Lhasa airport/train station to hotel. Basic GH/ Hotel accommodation breakfast in the cities and full board (meal, camping, kitchen, cook, porters, guide) while doing trekking. Everest base camp tour with a small hike to Base camp. Tibet/Nepal border to Kathmandu transportation by private vehicle. China visa fee, airfares, lunch, dinner and drinks except trekking portion. All the cost not mention on cost includes above. Our website contains as much information as possible about Lhasa Kharta valley EBC Trek. However, if you have any questions regarding trip, please feel free to contact us. We answer all enquiries within 24 hours. If you want to book a trip, you can send us an email or contact us directly by phone: 0977 98510 36844 (Ram Kumar Adhikari).